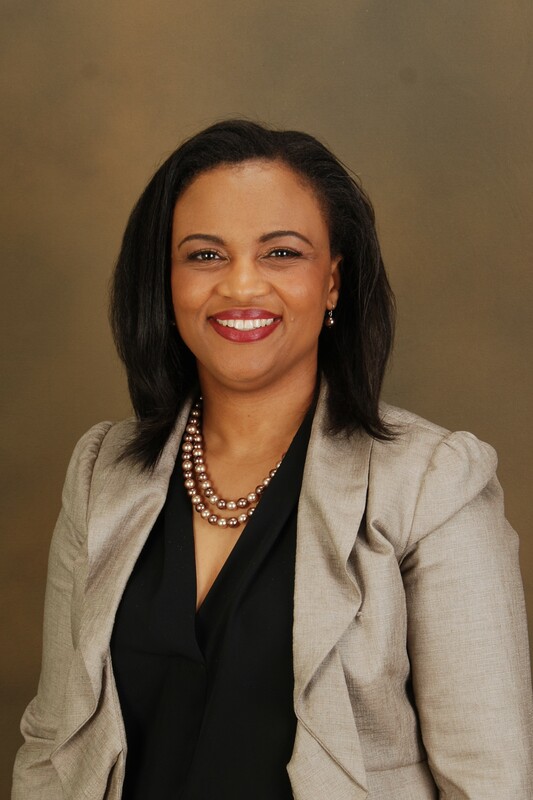 Wiljeana Glover is an Assistant Professor of Technology, Operations, and Information Management and is the Faculty Director of the Schlesinger Fund for Global Healthcare Entrepreneurship at Babson College. Professor Glover studies the effectiveness of improvement and innovation techniques to advance operational performance. She conducts research studies and engages students in teaching activities in partnership with healthcare delivery organizations in a variety of countries, including the U.S., Mexico, Israel, South Africa, Uganda, and Haiti. She has also worked with manufacturing and other service organizations. Professor Glover has published in numerous academic journals including Healthcare Management Review, BioMed Central (BMC) Health Services Research, IEEE Transactions on Engineering Management, International Journal of Production Economics, and International Journal of Production Research. Her work has been featured in popular press and online media outlets including the NEJM Catalyst and the Financial Times. Professor Glover was recognized with the 2011 Best Dissertation Award from the American Society of Engineering Management, has won several best paper awards, and has served as the President of the Society of Engineering and Management Systems (SEMS) within the Institute of Industrial Engineers (IIE). Professor Glover’s teaching interests include technology and operations management, scaling operations, improvement approaches (lean, agile, six sigma, etc. ), and systems design, interactions, and improvement. Her teaching heavily uses experiential learning and she has developed a project-based course with industry that focuses on how students can learn operational principles by doing, creating measureable improvements for the partner companies. She completed her Ph.D. at Virginia Tech and postdoctoral studies at the Massachusetts Institute of Technology (MIT). Prior to her academic career, she worked as an Associate Consultant with Stockamp and Associates, implementing revenue cycle and process improvements in hospital settings. Aleu, F., Van Aken, E., Cross, J., Glover, W.J. (2018). Kaizen with continuous improvement projects in hospitals: critical success factors. The TQM Journal. Vol: 30, Issue: 4, Page: 335-355. Davenport, T.H., Glover, W.J. (in press). The Augmentation of Healthcare Decision Making. British Medical Journal (BMJ) Innovations. Horný, M., Glover, W.J., Gupte, G., Saraswat, A., Vimalananda, V., Rosenzweig, J. (2017). Patient navigation to improve diabetes outpatient care at a safety-net hospital: a retrospective cohort study. BMC Health Services Research. Vol: 17, Issue: 759, Page: 13. BioMed Central Ltd..
Glover, W.J., Li, Q., Naveh, E., Gross, M. (2017). Improving Quality through Integration in a Hospital Setting: A Human Systems Integration Approach. IEEE Transactions on Engineering Management. Vol: 64, Issue: 3, Page: 365 - 376. Novikov, Z., Glover, W.J., Trepman, P., Naveh, E., Goldfracht, M. (2016). How do integrative practices influence patient-centered care? : An exploratory study comparing diabetes and mental health care. Health Care Management Review. Vol: 41, Issue: 2, Page: 113-126. Lippincott Williams & Wilkins. Liu, W., Asio, S., Farris, J., Glover, W.J., Van Aken, E.M. (2015). Understanding team mental models affecting Kaizen event success. Team Performance Management: an international journal. Vol: 21, Issue: 7/8, Page: 361-385. Emerald Publishing Limited. Glover, W.J., Liu, W., Farris, J.A., Van Aken, E.M. (2013). Characteristics of Established Kaizen Event Programs: An Empirical Study. International Journal of Operations & Production Management. Vol: 33, Issue: 9, Page: 1166-1201. Emerald Group Publishing Ltd..
Glover, W.J., Farris, J., Van Akenc, E., Doolen, T. (2013). Kaizen Event Result Sustainability for Lean Enterprise Transformation. Journal of Enterprise Transformation. Vol: 3, Issue: 3, Page: 136-160. Taylor & Francis Inc..
Glover, W.J., Farris, J.A., Van Aken, E.M., , T.L. (2011). Critical success factors for the sustainability of Kaizen event human resource outcomes: An empirical study. International Journal of Production Economics. Vol: 132, Issue: 2, Page: 197–213. Elsevier BV. Glover, W.J., Bailey, J. (2016). Comparing Lean and Design Thinking: A Human Systems Integration Approach. Proceedings of the 2016 Industrial Engineering Research Conference. Glover, W.J., Poopunsri, T., Hurley, R. (2014). Applying Lean to Non-Profit Organizations: A Food Bank Case Study: Proceedings of the 2014 Industrial Engineering Research Conference. Blank, T., Glover, W.J., Naveh, E. (2014). Achieving Radical Innovation under Time Pressure: Stop & Think and Exploration: 2014 Academy of Management Annual Meeting Proceedings. Academy of Management. Wood, D., Pfotenhauer, S., Glover, W.J., Newman, D. (2013). Disruptive Innovation in Public Service Sectors: Ambidexterity and the Role of Incumbents: Proceedings of the 2013 European Conference of Innovation and Entrepreneurship. Pagani, P., Glover, W.J. (2013). Describing Systems of Systems: Preliminary Comparison of the Literature to Current State Practices: Proceedings of the 2013 Industrial Engineering Research Conference. Li, Q., Glover, W.J., Naveh, E., Gross, M. (2013). Improving Departmental Quality with Interdepartmental Integration in Hospitals: Proceedings of the 2013 Industrial Engineering Research Conference. Kamin, C., Glover, W.J. (2012). Enterprise Integration Qualitative Analysis of Psychological Health in the U.S. Military: Proceedings of the 2012 Industrial Engineering Research Conference. Glover, W.J. (2012). Framework of Enterprise Integration of Health-Related Organizations: Proceedings of the 33rd International Annual Conference of the American Society for Engineering Management. Glover, W.J. (2012). Managing Successful Integrated Enterprises the U.S. Military Health System: Proceedings of the IIE Annual Conference and Expo 2012. Wang, W., Glover, W.J. (2012). Strategic Workforce Management Systems as a Dynamic Capability for High Performance: A Conceptual Case of Operational and Health Outcomes Among OIF/OEF Service Members: Proceedings of the 2012 Industrial Engineering Research Conference. Glover, W.J., Rhodes, D., Davidz, H. (2012). Systems Thinking and Social Capabilities: Toward a More Inclusive View of Engineering Competencies for High Performance in Sociotechnical Enterprises: Proceedings of the 2012 International Council on Systems Engineering International Workshop.